P&MM Limited has reported a 55% increase in its turnover covering events management and communications in the UK to the end of 2010. 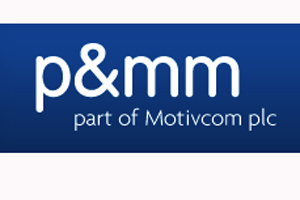 The Milton Keynes-based agency – part of Motivcom - has recorded sales of £8.3m for the year ending December 2010 in its events management and communications business covering the UK, up from £5.3m the previous year. Meanwhile, turnover from developing and administering motivation programmes increased to £43m from £39.6m in 2009. Total turnover for P&MM Limited, including trade and consumer promotions and employee benefits products, increased to £71.2m from £63.3m. However, while gross profit grew from £11m in 2009 to £12.5m to the end of 2010, administrative expenses – some from other Motivcom businesses – meant profit after tax fell from £1.7m to £1.6m over the same period. P&MM Travel Limited, which covers bonded events and international travel, increased turnover by 22% to £14.8m in 2010 from £12.1m the previous year. However its gross profit was down to £2.1m from £2.5m in 2009, due to Motivcom consolidated group costs such as IT, HR, non executive directors and legal, that are partly paid by P&MM. P&MM’s events and communications division executive director Nigel Cooper told C&IT: "We have increased turnover overall by about £6m between P&MM Limited and P&MM Travel Limited, split pretty equally between UK and international business." He added that new business and those returning to international events had helped boost turnover. In P&MM Limited’s directors’ report filed at Companies House, secretary Susan Hocken states that while new business levels in 2009 were "disappointing" in events, profitability was protected by cancellation terms in client contracts. "In 2010 major existing clients increased and extended their activity and several significant new clients were won," she adds. "The European conference sector performed particularly well, whilst long haul incentive travel is still underperforming." In August 2010, the group launched a new five-year strategy to double profits every three years. P&MM has last month moved into new premises in order to boost its capacity by 50%. As a whole, Motivcom - which includes Zibrant, AYMTM and P&MM - has reported a 40% growth in gross profit.